The random scribble you hastily scrawl after swiping your credit card is no longer required. Major credit card companies are getting rid of the signature requirement for credit card transactions. American Express, Discover and Mastercard will no longer require merchants to collect a signature on April 13. Visa will do away with the signature requirement starting April 14. "Signatures are no longer considered to be any real deterrent to fraud," explained Matt Schulz, senior industry analyst at CreditCards.com. "Most people don't sign their name in full or take it all that seriously." The signature requirement had already been fading, especially for smaller purchases. For instance, American Express has not required a signature for transactions under $50 in the US since 2012, though some merchants still maintained the practice. More than 80% of Mastercard in-store transactions in North America already did not require a signature, the company said in 2017. But many businesses, particularly restaurants and rental car companies, still do. Schulz said he expects many merchants to leave the signature requirement in place. "The requirement is built into their credit card processing terminals," he said. "They would have to take steps to eliminate it." 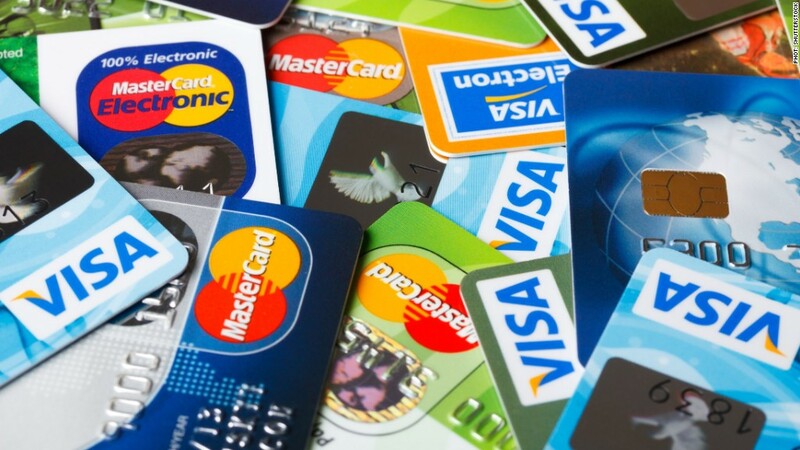 Credit card companies have been beefing up card security to help combat fraud. In 2015, they started mailing customers chip-enabled credit cards that have to be inserted and held in a credit card reader to complete a transaction. These cards have a small metallic chip — called EMV chips. The chips hold your payment data and provide a unique code specific to each purchase, and are considered more secure than the traditional magnetic strips. Shultz expects PIN codes and biometrics to become more common, but stresses that it's up to you to protect your identity. "You are your own best last line of defense on identify theft," he said. "It is important you take the time to check your online bank and credit card statements. People need to build regular identity theft check into financial routine."